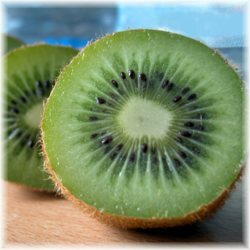 Home allergy health benefits kiwi Did You Know? You can loop off the top of a kiwi and eat it with a spoon like a soft boiled egg? A study of 18,737 people found that asthmatic folks who ate five to seven kiwis a week had 44 percent less wheezing, 32 percent less shortness of breath and 28 percent fewer runny noses. Hello Liza! This is nice info about kiwi. Will try eating it with a spoon rather than paring it with a knife.